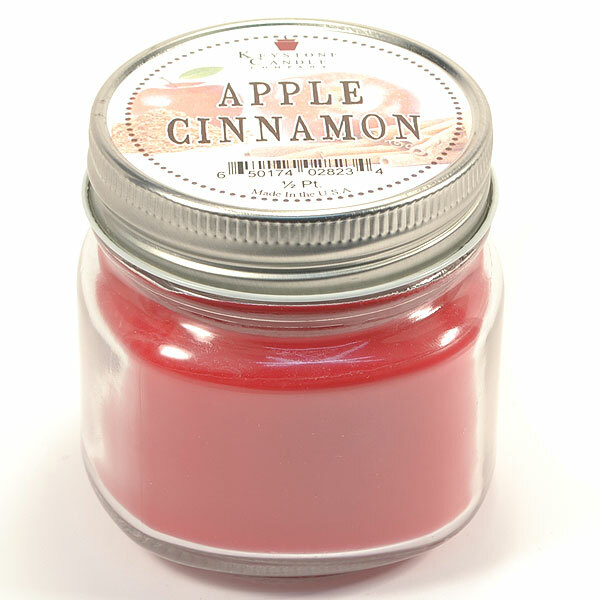 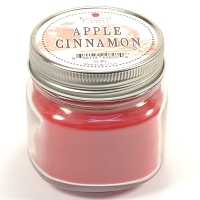 We have transformed this half pint size, regular mouth mason jar into a delightful strong smelling Apple Cinnamon candle with a slow even burn. 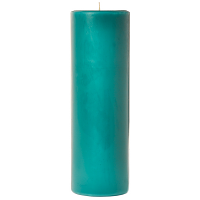 The clear glass jar, silver colored twist on lid, and colored wax give this candle a stylish look. 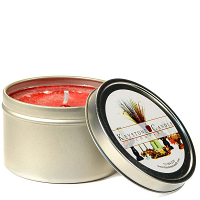 This long lasting scented candle will burn for about 30 hours. 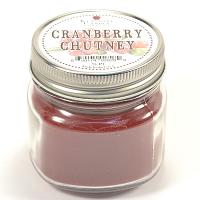 You can also turn these into hanging mason jar candles by using the threads on the neck as a catch for a hook or wire, not included. 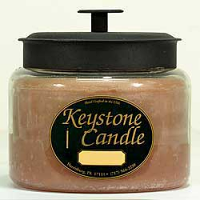 When you are finished burning the candle, clean the jar out and reuse it for storage in the kitchen, garage, just about anywhere. 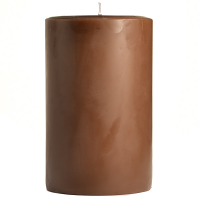 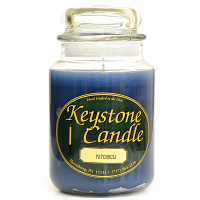 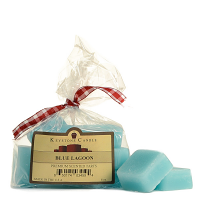 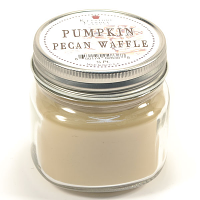 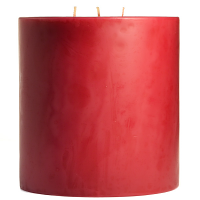 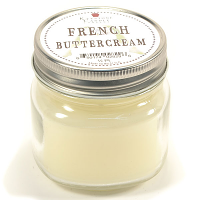 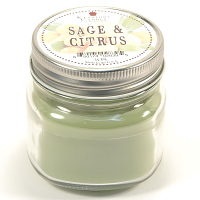 We manufacture this candle in the U.S.A. using paraffin wax and a lead free wick.